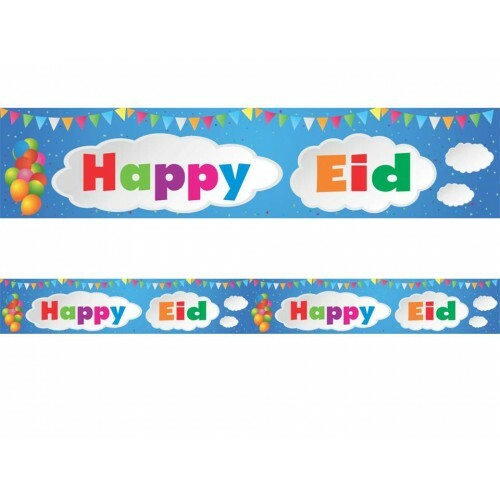 This colourful Happy Eid Double Banner stretches over 2 metres in length (22 cm height). Display it anywhere to bring out the joy and happiness of Eid. 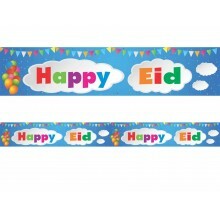 Match with the Happy Eid Flags and multi coloured Happy Eid balloons to make this Eid the best ever. 2metres long x 22.5 cm high.